Prairie grass fires were a common occurrence endured by early settlers that often resulted in tragic consequences and the Birtle area was no exception. September 25, 1886 - “A terrible fire sweeps up from the south and burns off my pre-emption (Blenheim area), burning out every bluff. The Town of Birtle has also experienced an extraordinary number of devastating fires over the years. Most of the commercial buildings on Main Street were wooden structures and very vulnerable to fire as was the case in most prairie towns in the 1880s. Fire fighting methods were primitive. 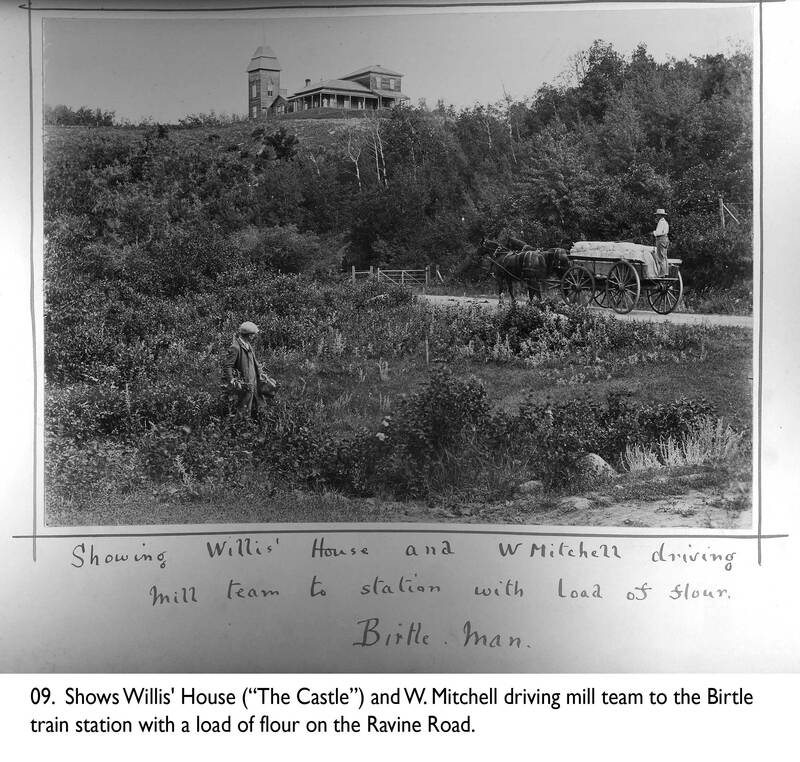 In 1884, Birtle Town Council added fire protection to the duties of the public works committee and three ladders and a dozen pails were purchased. 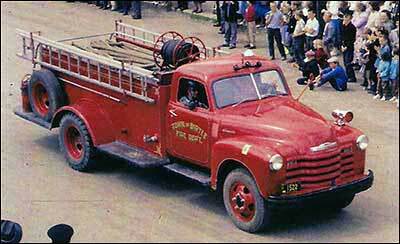 In Reminisces of the Original Birtle Fire Department by Ernie C. Walley, Birtle’s 2nd Fire Chief, all businesses had a stirrup pump on their premises by the 1930s and 40s. This was a tank with a pump and hose that had to be carried. There were also about a dozen “soda acid” fire extinguishers stored at the Town Hall. The Town Hall bell would be rung to alert residents of a fire and to bring in volunteers. 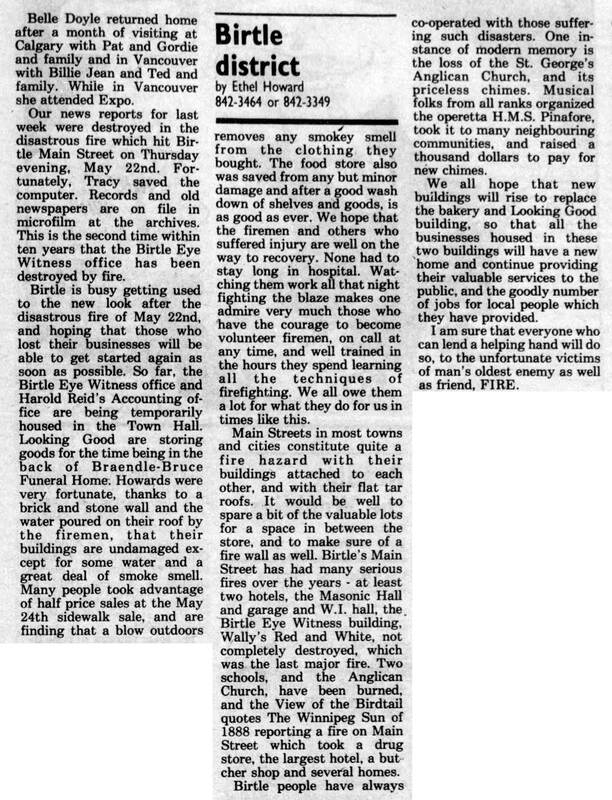 In 1950, steps were taken by the Town Council to improve their ability to fight fires. They began by purchasing a fire truck and establishing a fire department with Elmore Honey selected as fire chief. 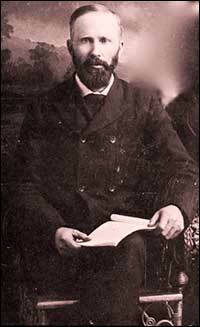 Elmore Honey, Sandy Harvey and Fred Phillips were sent to Winnipeg to get formal training on firefighting. However, the Town’s capacity to fight fires, although improved, remained challenging because there were no water hydrants available until water works were installed in the town in 1960. Until that time, firefighters relied on the pump house located on the north hill south of the Indian Residential School. In the early days of the town, the CPR built this pump house to supply water to the steam engines of the day. There was a trench from the river to the pump house where the 500 gallon fire truck would be filled. 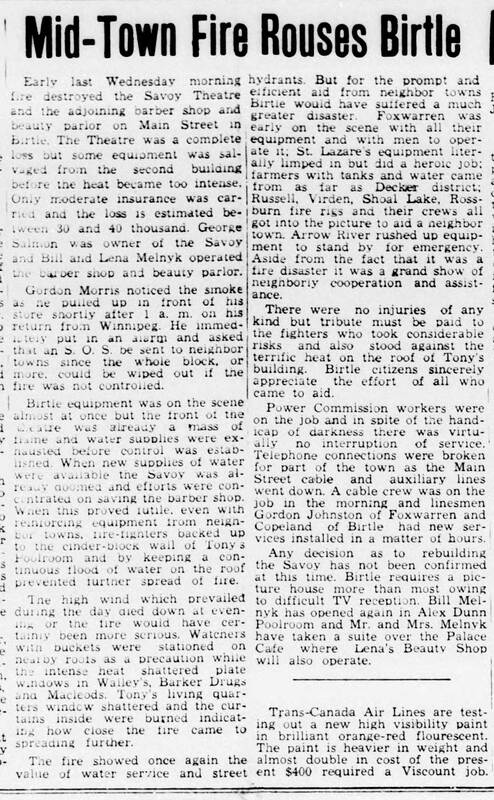 A siren replaced the town bell and a telephone operator was available 24 hours a day to notify fire fighters when a fire was reported. 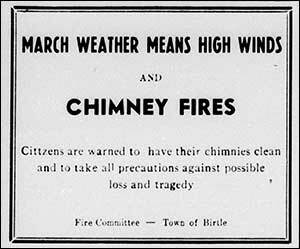 Ernie Walley recalls that the vast majority of fires they were called to were grass fires in the spring and fall and chimney fires on cold windy days in the winter. Most of these fires were put out successfully before they spread to do more serious damage. Fires over the decades have significantly altered the town leaving it almost unrecognizable today from the early photographs taken at the turn of the century. In addition, three people lost their lives in house fires in the 1970s.